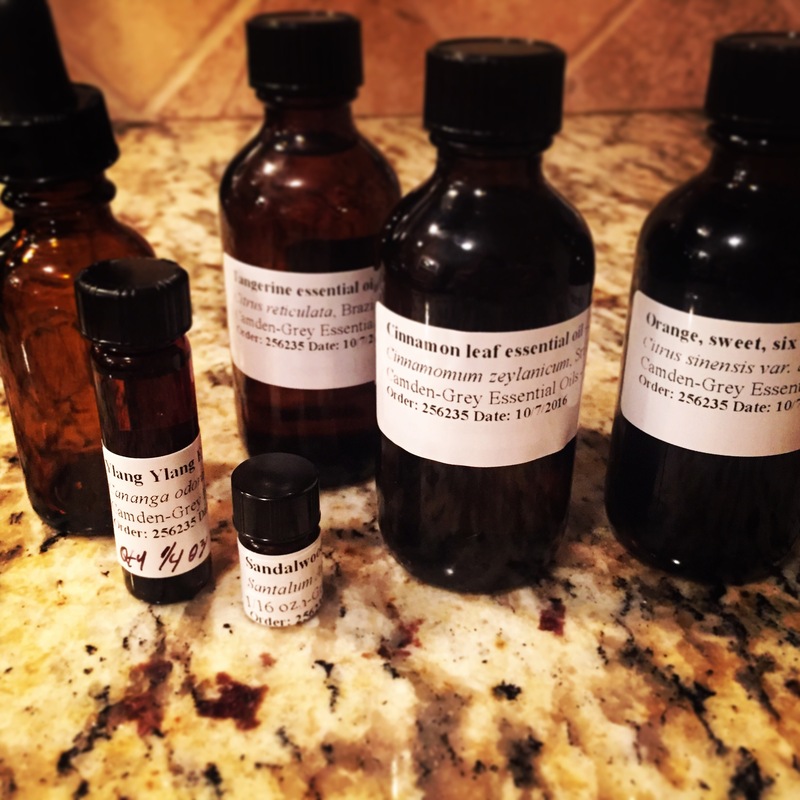 So, I took a few years off from the essential oil game. I’ve been thinking about getting back into it, but I wasn’t sure what to make first. I’ve been a little un-inspired lately, so I figured it was better to just hold off until inspiration came a-knocking. And then… It knocked very clearly! I have recently discovered floating. If you’ve watched Stranger Things, you know what I’m talking about, but it’s not even close to being dark and scary. It’s actually AMAZING! It’s like meditation on steroids. You are floating in an epsom salt bath… and you seriously float… like with no effort at all. It is silent and the lights are off. You have zero distractions and are able to just float and be with your thoughts for an hour. I love it. My float center is H2Oasis in Tulsa, OK. It’s newly opened, and I just love everything about it. I said…ok… and then? There was no “and then.” There was just more instructions. The voice said to put one drop of this blend into my hands, rub them together, and sweep them over my aura from head to toe – don’t rub it on the skin, just sweep it over your aura… about an inch or two away from your skin – get the front, the back, arms, legs, everything, especially over the head and shoulders – do this in the morning when you wake up, and at night before bed. I was like, ok, cool. Then the voice told me to also put the oil into water with some sea salt dissolved into it and spray it over my body whenever I needed a little refresh. I didn’t get an exact recipe, but just kinda knew I would figure it out. I don’t think the ratios are as important as the oils themselves. As soon as I was clear on these instructions, my float time was up, the “bong” sounded and my lights came on. I’m not used to getting such clear guidance when I’m meditating, so I was a little sceptical. After I drank my tea in the lounge, I told the owner about the experience, and how strange the oils sounded together. She said that I owed it to the experience to at least try the blend and see what happened. I thought that was the best advice… so, as much as I was laughing at this “Dude, Where’s My Car” exchange with my spirit guides, I figured I would give it a try. 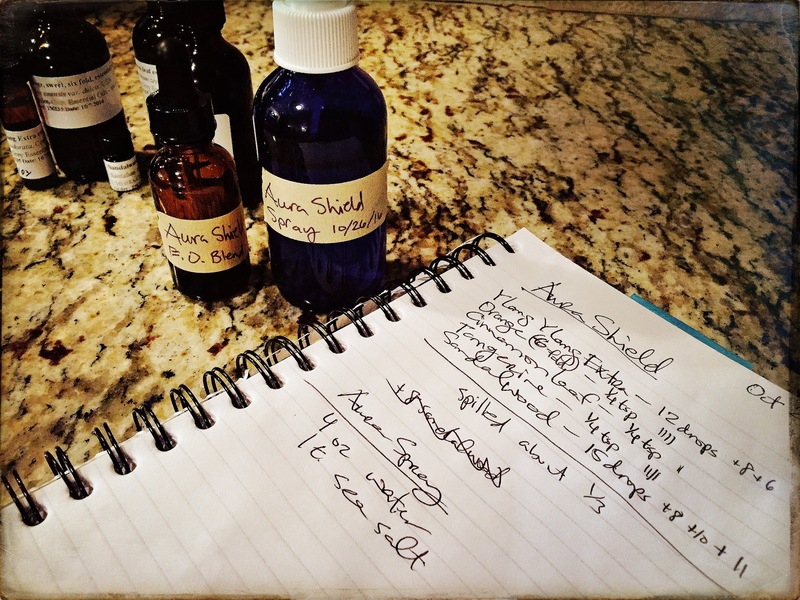 I went to my go-to online essential oil shop, Camden Grey, and purchased the oils I was given during the float. And you know what? This stuff actually works! The first time I dropped it on my hands and rubbed it over my aura, I felt this immediate feeling of lightness come over me. My mind cleared, and breathed a huge sigh of release. It was amazing… truly amazing. 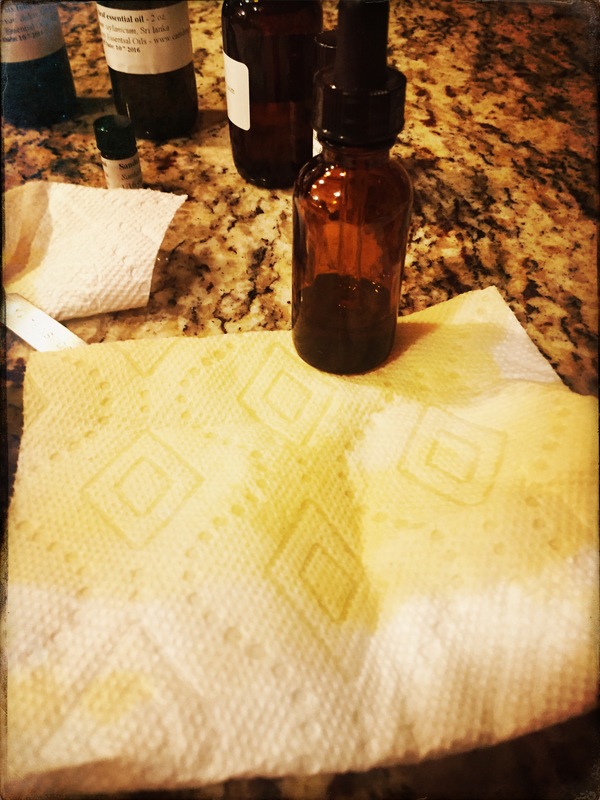 For the refresher spray, I mixed 4 oz water, 1 tsp sea salt, and 50 drops of the essential oil blend. I sprayed it all around my body, especially around my head, and again I got that immediate sense of lightness and relief. I’ve used this blend for the last week or so, and every time I get the same uplifting feeling and relief from those negative ickies trying to ruin my good vibe. So. There you have it! Given to me by the universe as an answer to my call for help. I hope it helps you! Needless to say, my kitchen smells great! Previous How to Dye Roving for Ombré Yarn… Trust me, it’s gorgeous!